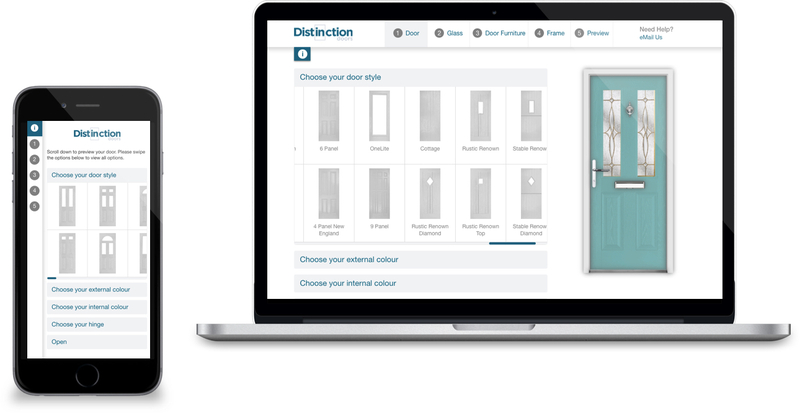 Distinction Doors are the UK’s largest importer and manufacturer of GRP doors. They have a very strong place in the B2B market place selling their products to door fabricators and fitters. Distinction Doors are already a major player in the market they want to keep at the forefront of. We wanted to understand what would encourage their resellers and remove any barriers they may have to get the products in front of customers. 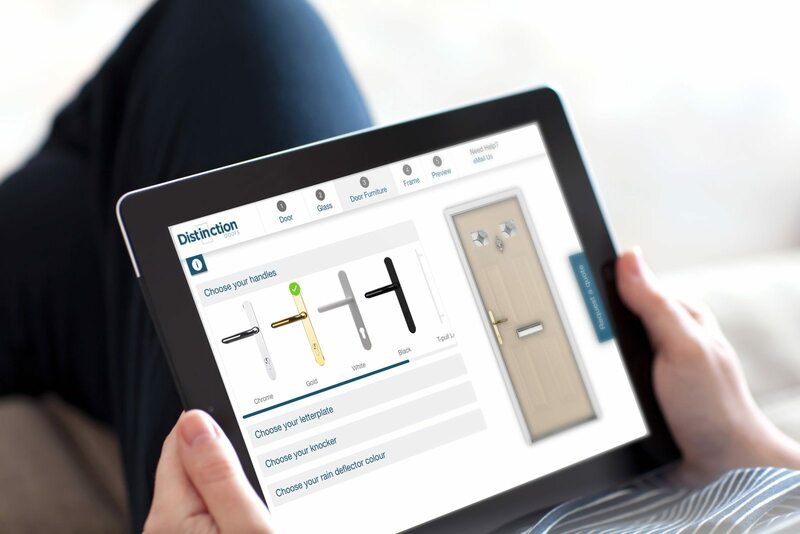 We designed and developed a bespoke tool that allows re-sellers to show the full product range and configure doors with their customers. It features all of Distinction Door’s product ranges and allows the customer to view the doors in all of the available colours with their choice of door furniture. It also has the full glass selection so the door can be viewed with different glass styles. Customers can also move the placement of handles and letter boxes using a simple drag and drop. Once the door has been configured the reseller can take a picture of the customer’s home and then instantly view the configured door in situ. The details of the configured door are then uploaded into an ordering system for Distinction Doors to view and supply. 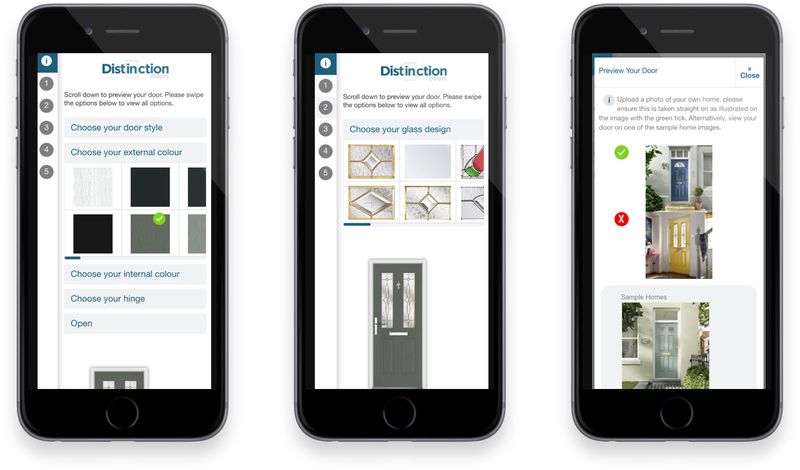 Each re-seller gets their own install of the door designer tool and to make the tool even more encouraging for them to use we built in the ability for them to brand it with their own logo and colours. The door designer tool has been a fantastic success in converting new customers to Distinction Doors. This a very rewarding outcome and we are constantly working on new features to improve the tool and stay at the forefront of the market place.